Great for the active woman. Great for the active woman. 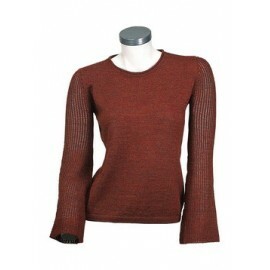 This sporty sweater with short sleeves and a mock neck has an easy fit and soft comfort you’ll want to live in. It makes a great piece for layering also. Very practical and pretty. Dress your body in the most flattering way. 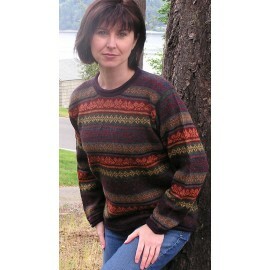 This lady's alpaca sweater is a soft and cozy sweater for those cold nights of summer, spring or autumn.